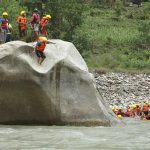 Bhote Kosh River Rafting is another popular river for rafting, the Bhote Koshi originates in the Tibetan plateau from ehere it flows down steep gorges to Nepal in the south. 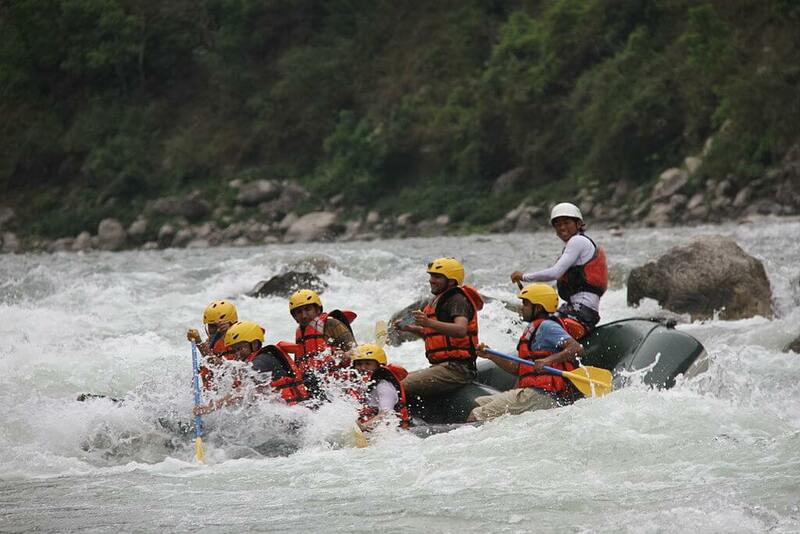 Naturally, the landscape it flows through is rugged, adding thrills to the trip. It’s a through rid with Class IV and Class III in the lower leavels. Rapids: Frog in the Blender, John’s Home, Gerbil in the Plumbing, Liquid Bliss, Dazed & Confused. 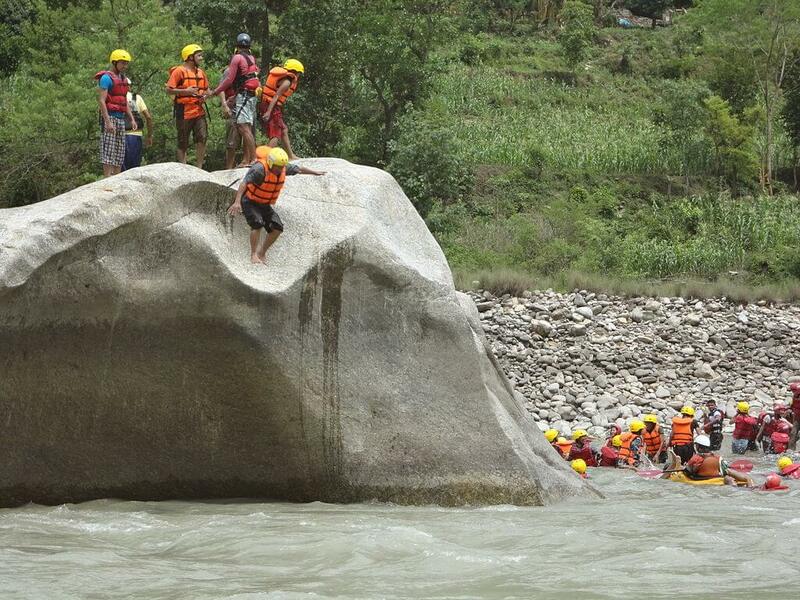 Bhote Kosh River Rafting starts It’s a 3- hour drive from Kathmandu along the Araniko Highway to Bhote Koshi. The drive to the put-in point has its own highlight – views of snow-capped mountains such as Langtang and Dorje Lakpa towards the north of the country. 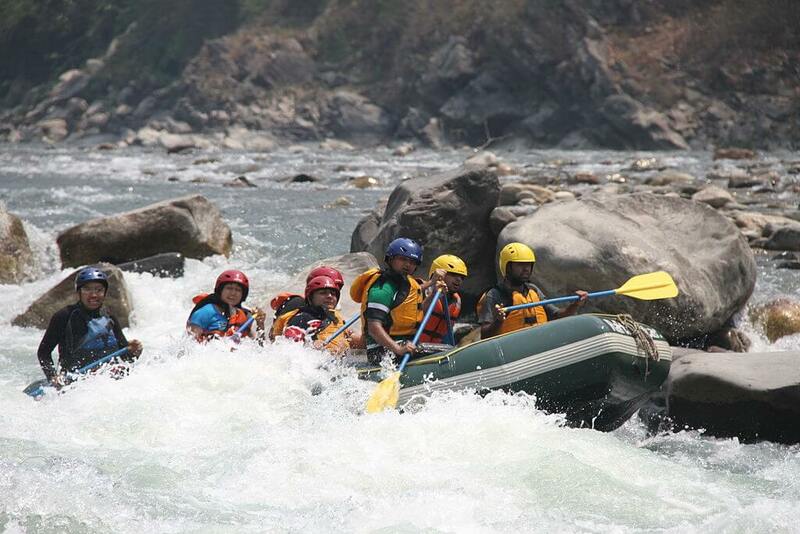 With its steep gradient, it is a fast flowing river that challenges the expertise of river guide. 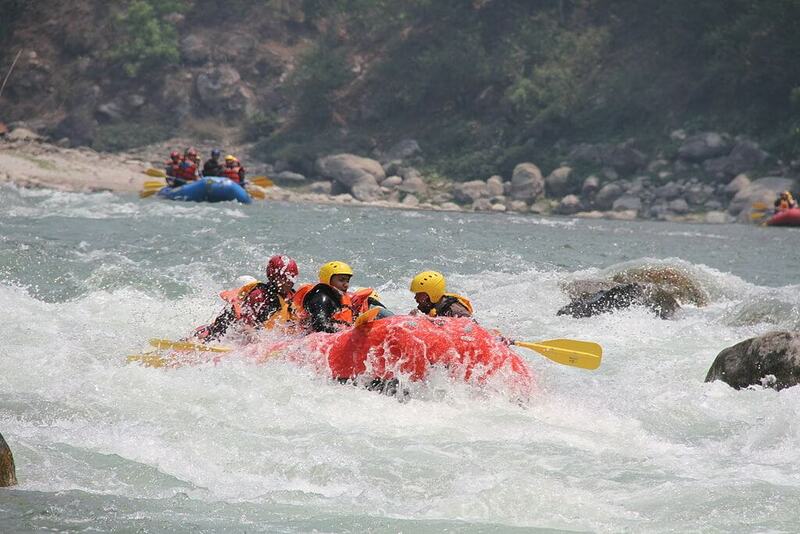 The rapids on the Bhote Koshi are highly technical and come one after another in quick succession. 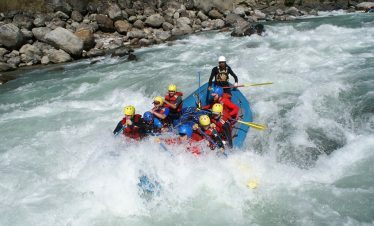 At first the Class III rapids are encountered followed by the more difficult Class IV. The river flows through narrow canyons covered in lush green vegetation and from the rocks flow down crystal clear waterfalls. The usual run on this river last from one to two days. 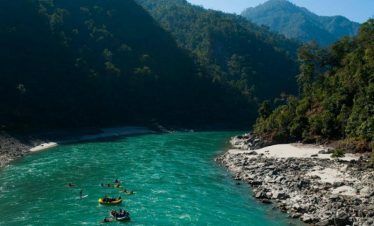 The Bhote Kosi is known as the River from Tibet and you can start a trip after a peak over the border into Tibet. The Kathmandu / Lhasa Highway (AKA Friendship Highway, Arniko Highway) runs along beside the river. 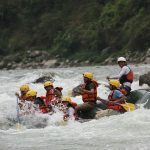 You can run a day trip or do a two-day expedition and run parts of the river twice. 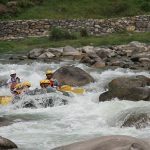 It’s a great beginner river for rafters and fun for kayakers at all levels. 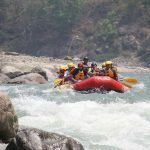 Bhote Kosh River Rafting is beautiful for adventure trip with very steep and basically non-stop mountain river. 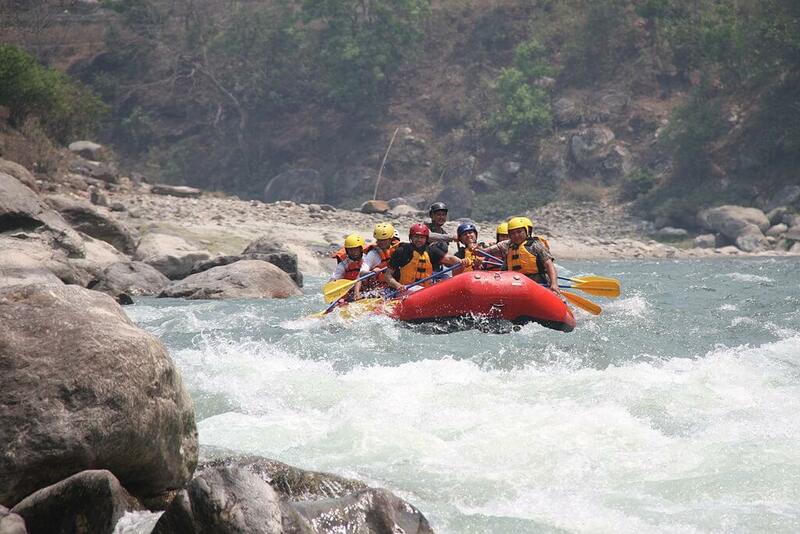 You are beginning to understand what this great trip in Nepal offers you nothing less than the ride of a lifetime. 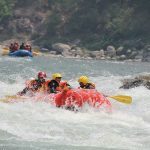 If you have never rafted before and if you have limited time but desire an adrenaline overload, then this is a perfect introductory trip package for you because of the Bhote Kosh River Rafting is probably the most exciting short rafting trip in Nepal and best white water adventure in the world. 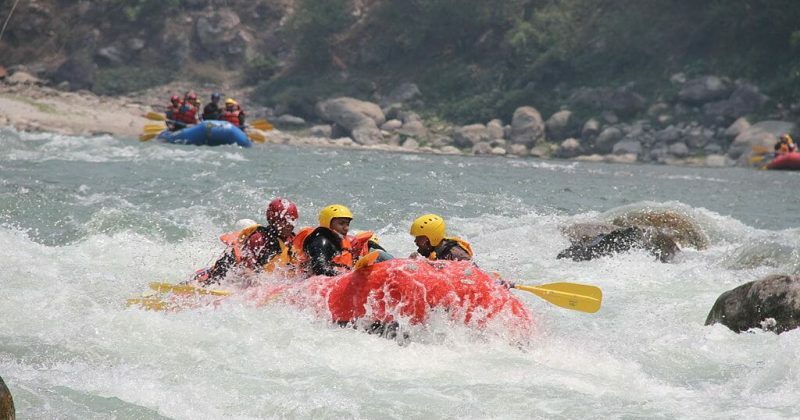 With the adventure of Bhote Kosh River Rafting you also get the chance to observe emerald green fields are terraced high above the river on precipitous slopes, curious villagers lining suspension bridges are amazed as we plunge through cascading waves and chutes of foam. Visiting an ancient culture, trek in the awe inspiring Himalayas and get a tan – yep the weather is sunny! 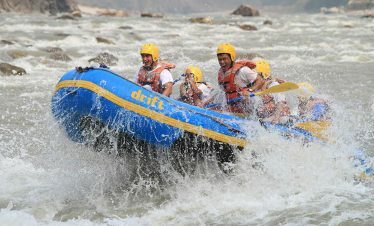 We love the excitement of this trip and it really is the best available in whitewater fun. 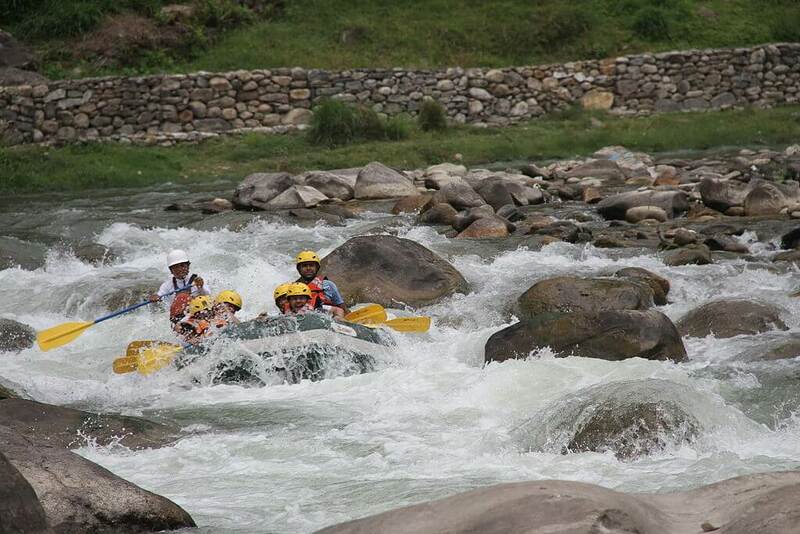 The rapids here are a solid class IV- V at high flow, and a more classic III at lower levels. 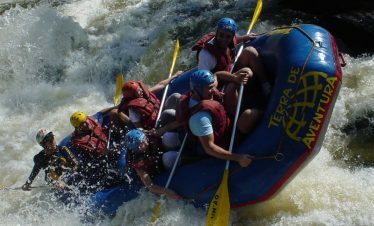 This true adventure can be rafted between October and December and February and April. Day 01: Drive 3 / 4 hours to the rafting starting point Khadichour (Lower Section). 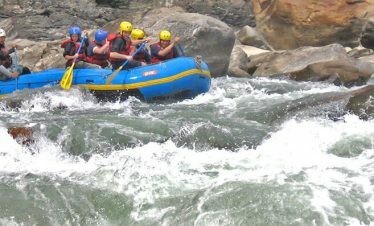 After lunch start Rafting continuous whitewater rapids to Sukete Village and make camp at river beach. 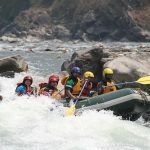 Necessary equipment as high quality self-bailing rafts, lifejackets, helmets, plastic paddles, wetsuits (only during the winter) on certain rivers, dry bag for gear, camera barrels and all safety and medical equipment. Food, accommodation, insurance for all staff and their transportation. 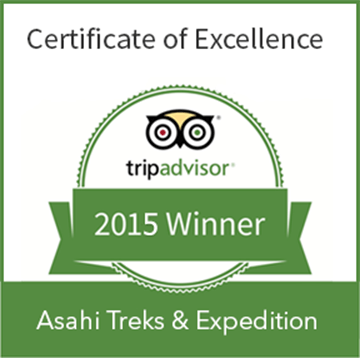 Expedition elements include professional guides and leadership. * First aid kid box. Hotel accommodations & meals at if you stay anywhere at the hotel during whole trip. International airport pick up drop (if you order we can arrange).